The manipulation of the brain through the use of technological devices is accepted practice in serious conditions where medication and other forms of treatment have been unsuccessful. Research into brain-based disorders has lead to treatment like Vagus nerve stimulation to treat severe epilepsy. Psychiatric neuro-technology researchers are focused on Transcranial direct current stimulation and Transcranial Magnet Stimulation to treat conditions like chronic pain, pharmaceutical resistant depression, fibromyalgia, OCD, Parkinson’s, and schizophrenia. Taking this a step further, deep electrical stimulation of the brain (otherwise known as deep brain stimulation) can treat severe OCD, depression and a range of other disorders, enabling health professionals to target the specific parts of the brain which cause particular disorders. 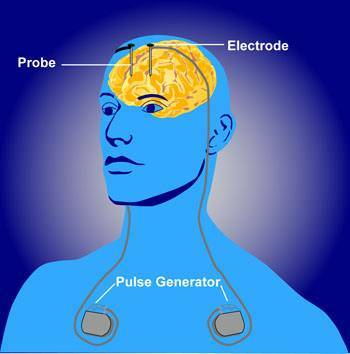 Electrodes are implanted into the brain and a device incorporating a battery and pulse generator is implanted into the chest or abdomen with wires to the skull connecting the electrodes. When turned on, the device emits an electrical current that stimulates the neural fibers carrying information from primitive brain areas associated with motivation to the frontal lobe. It’s foreseeable to envision a time when other parts of the brain are better understood and implants are at the forefront curing a range of brain disorders. Some speculate that implants to improve memory and intelligence could be closer than we think and offer opportunities for developers looking for a new challenge. 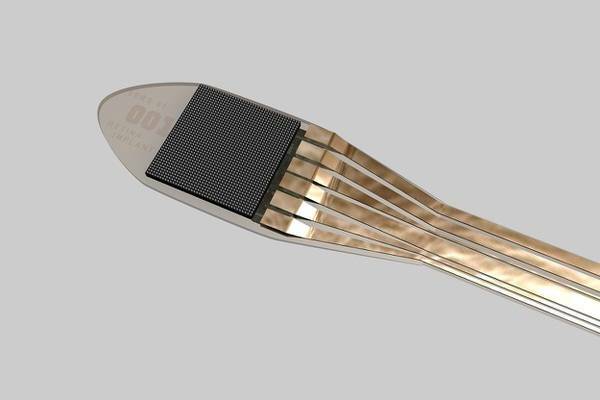 A group of Melbourne scientists has made the notion of wirelessly controlled limbs closer to reality through the development of a tiny, matchstick-sized device called a stentrode. Once implanted into a blood vessel next to the motor cortex, the brain’s control centre, it will pick up brain signals and allow patients to move a robotic exoskeleton attached to their limbs simply by thinking about it. It picks up strong electrical frequencies emitted by the brain that are coded into a computer. The computer then sends a signal to an exoskeleton attached to the arms or legs, enabling movement. The success of the stentrobe is heightened due to its location – a blood vessel – which eschews the need for complex brain surgery. In late 2017, a select group of paralysed patients from the Royal Melbourne and Austin Hospitals in Australia will be chosen for the trial, where they will be implanted with the stentrode. If the trial succeeds, the technology could become commercially available in as little as six years. Technology restoring sight and making super sight is here. In January Rhian Lewis, legally blind had a tiny electronic chip implanted at the back of the retina in her right eye. A wafer-thin retinal implant chip was inserted into the back of the eye to replace damaged photoreceptors. The chip captures the light entering the eye to stimulate the nerve cells of the inner retina to deliver signals to the brain through the optic nerve. The device is connected to a tiny computer that sits underneath the skin behind the ear. This is powered by a magnetic coil which is applied to the skin – from the outside, this looks similar to a hearing aid. The device is switched on once everything has healed up after the surgery. Using dials on a small wireless power supply held in the hand, Rhian can adjust the sensitivity, contrast and frequency to obtain the best possible signal for different conditions. 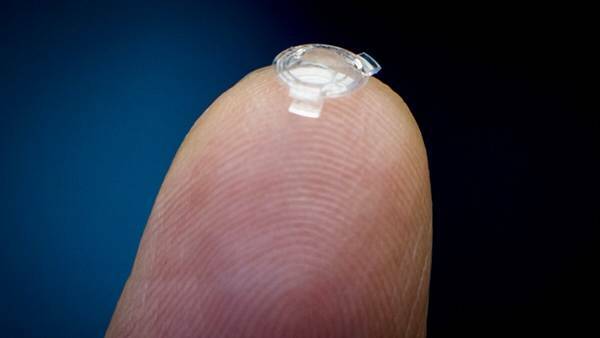 Another option for those tired of wearing glasses is the Bionic Lens, the brainchild of the Ocumetics Technology Corp, a company who want to eliminate glasses and contact lenses forever. The Ocumetics Bionic Lens is the result of eight years of research and $3 million in funding and lets you see “three times better than 20/20 vision” without wearing any contacts or glasses at all — for an entire lifetime. Amazingly the surgery is estimated to cost around $3,200 per eye with approval predicted to be between 2-5 years. MIT spinout Microchips Biotech has been working on a birth-control microchip, backed by the Bill and Melinda Gates Foundation, that releases contraceptives and can be turned on and off wirelessly. The tiny chip has an antenna and battery and is designed to be implanted under the skin, where it stores hormones and releases a precise dose at scheduled intervals. Unlike other contraceptive devices, it does not have to be removed when the woman wants to have children. It can be turned on and off with a remote control. Exploration into implanted RFID chips has been around for a while. A chip implanted in the hand could unlock doors, start a car or be an alternative to a swipe card. It’s easy to imagine the contactless jacket embedded with a bPay chip being replaced by an implant. But it could also verify a person’s identity in case of an emergency or during war time. It could be used to store a person’s medical records. A number of people have told me that the ease of removing an RFID chip (with a scalpel presumably) could result in identity or financial theft. Others raise the issues of hacking and long-term medical complications caused by implants.  But regardless of resistance, this technology is here, it is being used successfully for a range of purposes and it will be an integral part of wearables of the future.